Freshen up your lingerie drawer this Spring with Freya’s beautifully designed collections. This season Freya’s stunning lingerie collections are bursting with gorgeous florals and delicate lace. Soft pastel colour palettes take centre stage in shades of rose pinks, cool blues and delicate yellows for a feminine look that’s sure to make a statement. Featuring a gorgeous poetic crochet lace and a refreshing hand painted watercolour floral print, the Florri Bralette offers the perfect plunge style alongside amazing support. Designed to effortlessly mix and match with your favourite Freya prints, the lacy Freya Fancies collection returns in a fresh Azure blue colourway with a Half Cup Bra style for definition, shape and uplift. Combining crochet look floral lace and contemporary lingerie styling, discover the flirty Love Note in Rose. The High Apex Bra has a flattering low centre front and semi sheer fabrics for a lighter look this Spring. 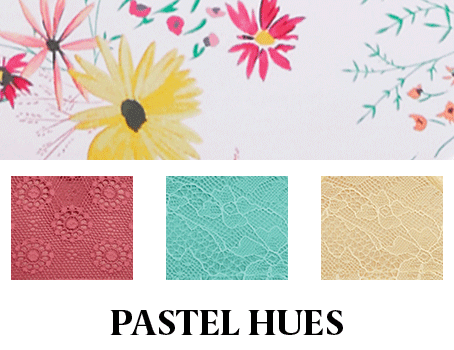 Indulge in delicate lace with the must-have Freya Fancies collection in a pretty Buttermilk shade. The Plunge Bra can be paired with other Freya collections to create a look to match your mood.